April 29(Mon. ):Arrive in Beijing.Fetch you at Beijing Capital International Airport.Dinner at restaurant in Beijing. Explain the marathon course, hand you the champion chip. Overnight at Shenzhou(Beijing) International Hotel. April 30(Tue. ):Breakfast at the hotel. Visit Tiananmen Square, Olympic Park and the Bird’s Nest. Lunch at the restaurant. After dinner, watch Chinese Acrobatic show. Overnight at Shenzhou(Beijing) International Hotel. May 1(Wed.):Breakfast. Later special buses leave the hotel for the Great Wall for the Great Wall of China Marathon 2019. Light Lunch at the Great Walls. Tremendous celebration party would be held for all the participants,and the medals and the certificates would be also awarded to all the participants on the Great Walls. Bus back to the hotel from the Great Wall. Overnight at Shenzhou(Beijing) International Hotel. May 2(Thu. ):Breakfast at the hotel.See you off at Beijing Capital International Airport. April 29(Mon. ):Arrive in Beijing. Fetch you at Beijing Capital International Airport.Dinner at restaurant in Beijing. Explain the marathon course. hand you the champion chip .Overnight at Shenzhou(Beijing) International Hotel. April 30(Tue. ):Breakfast at the hotel. Go to see the running course of Great Wall of China Marathon 2019.Lunch at the restaurant close to the Great Walls.Afternoon visit Tiananmen Square and Wanfujing, watch Chinese Acrobatic show after dinner. Overnight at Shenzhou(Beijing) International Hotel. May 1(Wed.):Breakfast. Later special buses leave the hotel for the Great Wall for the Great Wall of China Marathon. Light Lunch at the Great Walls. Tremendous celebration party would be held for all the participants on the Great Walls. Bus back to the hotel from the Great Wall. Overnight at Shenzhou(Beijing) International Hotel. May 2(Thu. ):Breakfast at the hotel. See you off at Beijing Capital International Airport. If you would like to extend your days before or after the fixed days,we would offer the English-speaking guide(s) for you in Beijing and extend your hotel reservation for you in Beijing.And if you would like to travel in other cities in China,we would recommend the best travel agents for you anywhere in China. 1) You will be on the tours with the other world participants. 2) 250USD Application fee is included in the tour. 3) 4-star Shenzhou(Beijing) International Hotel,two persons share one room, Single Occupancy 185USD. 6) You would benefit much from the price offer below with your early application. April 29(Mon. ):Arrive in Beijing.Fetch you at Beijing Capital International Airport to the hotel.Course Explaination Meeting at the hotel Conference Room from 2PM-4PM. 2)250USD Application fee is included in the tour. 3)4-star Shenzhou(Beijing) International Hotel,two persons share one room, Single Occupancy 185USD. 6)If your plane would be arriving in Beijing during or after the the explanation meeting,we would offer the special explanation for you when you arrive at the hotel. Feature:Experience the original lifestyle of the Chengdu people and Enjoy all the different kinds of Sichuan Cuisine every day. D2(Fri/May 3.2019):Visit the Dujiangyan Dam.Evening walking at the the business streets in Chengdu. D3(Sat/May 4.2019):Morning visit to Du Fu Cottage and Wu Hou Temple.Enjoy the tea ceremony show at Jinli Old Street.Afternoon visit to the Chunxi Jie and Kuan Alley. D4(Sun/May 5,2019):Visit the Panda base.Later afternoon flight back to Beijing.Overnight at Shengzhou(Beijing)International Hotel. D5(Mon/May 6.2019):Breakfast at the hotel.See you off at Beijing Capital International Airport. 2)Two persons share one hotel room, Single Occupancy 176USD. 5)The air tickets are also included. Feature:The magnificent waterfalls,the most tasty local cuisines,back to the nature! D2(Fri/May 3.2019):Visit the spectacular Huangguoshu Waterfalls,the largest in Asia.Enjoy the very delicious Guiyang cuisine at dinner. D3(Sat/May 4.2019):Morning train to Kaili.Enjoy the most delicious Sour Soup Fish at lunch.Afternoon bus to Xijiang ,visit the largest and the most beautiful Miao Village.Overnight at Xijiang Local Guesthouse. D4(Sun/May 5,2019):Morning visit to s short-skirt Miao village and the musical instrument Lusheng Workshop.Afternoon train back to Guiyang.Evening flight back to Beijing.Overnight at Shengzhou(Beijing)International Hotel. 2)Two persons share one hotel room, Single Occupancy 168USD. Feature:Walking on the streets of Qin and Han Dynasties,enjoy the Tan Dynasty dance and music,complete another race on the wall. D1(Thu/May 2.2019):Morning visit to the Forbidden City,afternoon flight from Beijing to Xian.Overnight at Meihua-Goldentang Internation Hotel. D2(Fri/May 3.2019):Visit Terra Cotta Warriors.Xian delicious cuisine at dinner. D3(Sat/May 4.2019):Morning walking or running the full one circle of the ancient City Wall(11.9km).Afternoon visit to the Bell Tower and the Drum Tower.After dinner,watch and enjoy the splendid Tang Dynasty Music and Dance performance. D4(Sun/May 5,2019):Visit Shaanxi Provincial History Museum and the Stone Steles Museum.Evening flight back to Beijing. 2)Two persons share one hotel room, Single Occupancy 193USD. in Xian.It would become another very wonderful and exciting experience for you! 6)The air tickets are also included. Feature:Visit the heaven cities on earth,experience the pulse of the fast-growing China's economy. D1(Thu/May 2.2019):Morning visit to the Forbidden City,afternoon flight from Beijing to Shanghai.Visit the night view of the Bund.Overnight at Shanghai Nanying Hotel. D2(Fri/May 3.2019):Morning train from Shanghai to Suzhou.Visit the Humble Administrator's Garden,Guanqianjie,and Panmen.Back to Shanghai in the evening. Museum.Back to Shanghai in the evening. (632m/2,073ft),then visit Chenghuangmiao and taste the delicious Shanghai cuisine Xiaolongbao,and then visit Nanking Road and Huaihai Road. Evening flight back to Beijing.Overnight at Shengzhou(Beijing)International Hotel. 2)Two persons share one hotel room, Single Occupancy 207USD. we would have a very wonderful bicycle tour in Hangzhou. your tour cost would be 776USD. 7)The air tickets are also included. Feature:Feel the truth of life at the place closest to the paradise. required to take the enough rest at the 3-star hotel.Dinner in Lhasa. D2(Fri/May 3.2019):Potala Palace,Jokhang Temple and Barkhor Street. and across China to make the trek through Barkhor Street,the Tibet's "Sacred Way". hotspring bath there with your own swimming suit,then you would get relaxed.Then back to Lhasa. D5(Mon/May 6.2019):Fly back to your country. See you off at Beijing Capital International Airport.Then you flight back to your country. 2)Two persons share one hotel room, Single Occupancy 229USD. 5)We suggest you to listen to the tour direction and suggestion by the local Tibetan tourguide. The Options 1 and Options 2 and Options 3 can be combined together with the Options 4,5,6,7,8. If you apply any time during May 1 and July 30,2018 to use any of the above Option 1,2,3,plus any of the above Option 4,5,6,7,8 of Great Wall of China Marathon 2019 ,you can get 100USD discount. So please do not lose the best chance to apply now! Below is the Online Application for Great Wall of China Marathon 2019.Thank you very much from all our hearts! 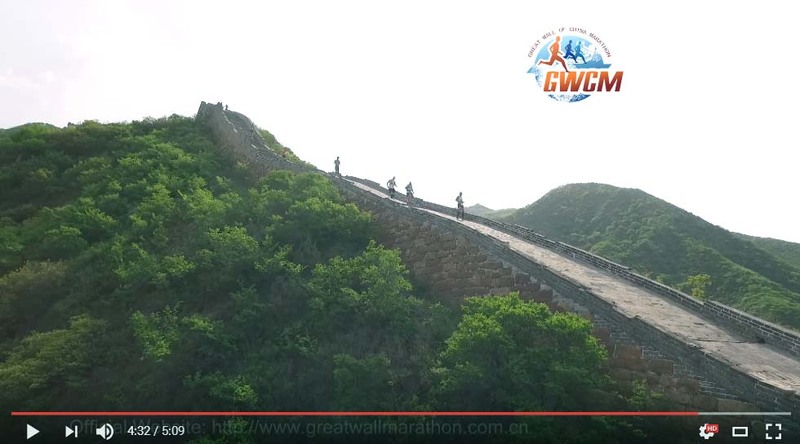 Copyright(C)2000- 2019 Great Wall of China Marathon. All Rights Reserved.